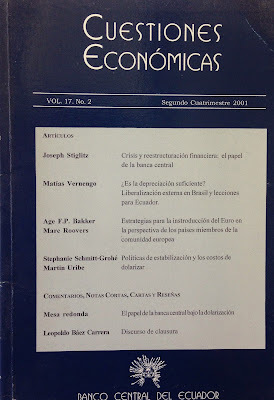 The journal, Cuestiones Económicas, is being re-launched. I had a paper published back in 2001, pictured above. And have been invited to be a member of the board now. Call for papers (in Spanish) here. 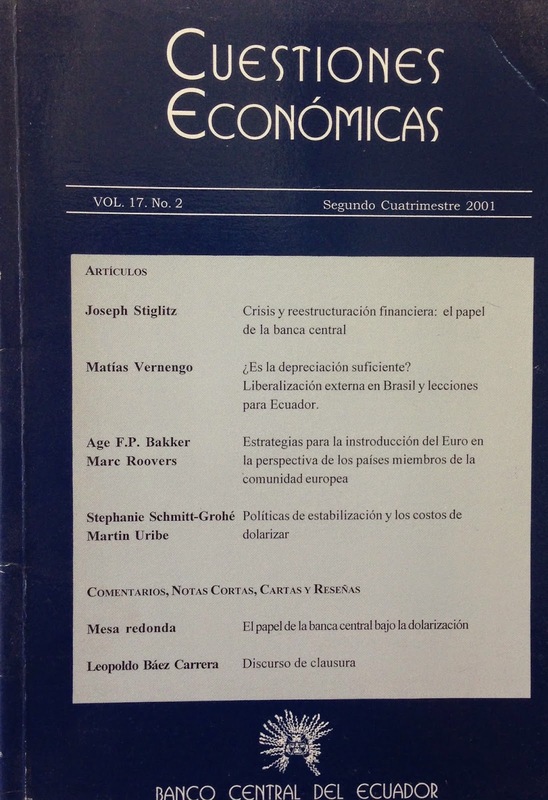 Interestingly, the paper is not the one on Ecuador and dollarization (for that one go here).